This video shows how to approve members with only a few clicks. 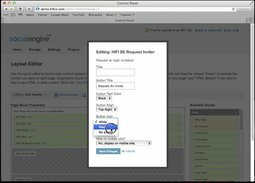 This video shows how Request Inviter works (very similar to SE 5). Request an Invitation just by adding your name and email address. When admin confirms your account, you will be approved and able to sign in. 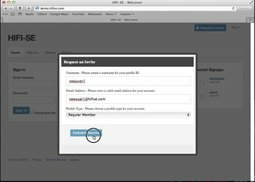 This video shows you how simple it is to set up the Request Inviter and make changes that matches your website theme, color, or preference. 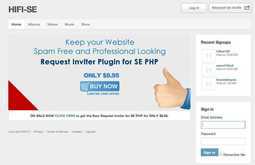 What is the best hosting plan for SE4 PHP? This question comes up very often and I thought we should address it here. From my experience, I've narrowed choosing a good hosting provider by asking a few questions. 1 - Do we get root access to our server? This is really important if we want to install 3rd party applications such as SpamTrawler and Encoders. 2 - Does hosting include FFMPEG? We often overlook this. But uploading videos will not work without this feature and you will only be limited to Youtube and Vimeo. Other than that, pricing / budget varies. Simon Check out Amazon EC2 and RDS. Lots of guides around the web to get you up and running but allows you to scale your server as you get bigger. Entry is free currently for t1.micro level for 12 months and can be very fast. BT Digital Media I had a dedicated server with Arvixe prior to SE Cloud. Very helpful folk, will help with everything you need - they where great. seTweaks These 2 questions should be asked if you're planing to purchase "Shared Hosting" which is the worse idea for hosting a SocialEngine site otherwise all dedicated and virtual servers have these 2 functionality. The most important factor for an ideal server is if the servers are optimized for SocialEngine. At this time there are only 2 companies who offer SocialEngine optimized servers : seTweaks and Hire-Experts. 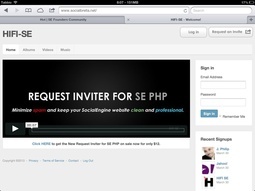 Don't be foolded by other providers who are advertising SocialEngine hosting. They are just selling their regular plans with FFMPEG as SocialEngine hosting! an optimized SocialEngine server is far beyond just installing FFMPEG and we are absolutely sure that if the company doesn't know SocialEngine they won't be able to optimize the server at the level that we do ( ie. Arvixe ). Other important feature is if the server is managed or not, if the server is not managed and you don't know System Administration then you're purchasing something that you can't work with it and it will be useless to you. that's why our servers are fully managed by us. Currently, it seems the only way to really get to your profile on an SEC network is to enter your profile, click the drop-down, and hit "Edit Profile". Anybody have a better method for getting members to see an "Edit Profile" link/button in their profiles (without clicking a drop-down menu)? You might have to do more CSS customizations to make it look better. 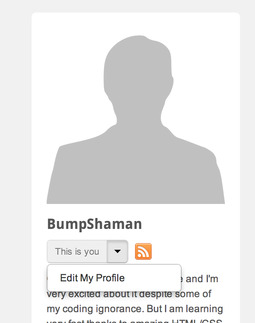 Kimmie Will anyone like to share their site(s) if you are already using this feature? I would love a official contact page for all of our SE cloud site, but now we have to wait. 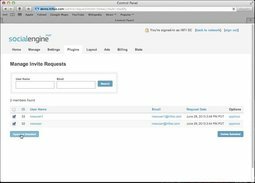 No problem, I will share with you a small tip that can help you to create a contact page for your site. Follow these steps. 1. Go to your admin/page template/add new template. Fill the page title as "Contact", Page name "contact.html", page URL: "http://WWW.YOURSITE.COM/contact"
2. Go to the site http://kontactr.com/, register a free account, follow instruction, copy and paste AJAX Widget code into the "content" field of the contact page. Notice: paste the widget code between "". 3. Go to the footer template: add the link of the contact page "http://YOURSITE.COM/contact" in footer. If you do not know how to add link in the footer, check the topic http://community.socialengine.com/post/132086/how-to-add-link-in-footer. It's done. Check it lives here, www.aquanetviet.org. Kimmie Very helpful. Thanks for sharing. We offically launched our first site on 24/04/2013. The site is www.mother2mother.com - at this early stage we are simply a social network and information sharing site. We invite you to visit and join, if applicable. Please note, your constructive advice and opinions are encourgaged. Drew Frey Thanks for the update [26223,BT Digital Media] ! Guys do you have any possibility to generate and add an xml sitemap for better google robot crawling. Jung Kim I believe we already do for your sites. But let me double check. I know for a fact we do a lot of SEO for the community sites. So as long as it is not "private" it should get indexed well. 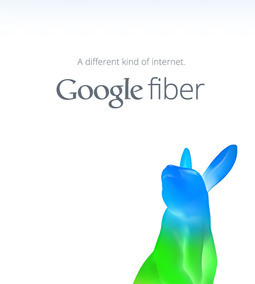 Keif Gigliotti Well I better be able to download a pizza, at the very least! We just launched our demo website / store. Be sure to check us out for new professional plugins, Themes, and lots of Freebies! 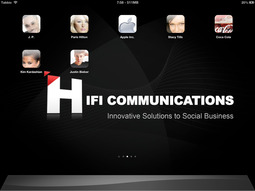 We hope we that we can continue to help you build and maintain a professional Social Network. The one thing we noticed though, is that these themes do not look properly formatted on tablet such as the iPad. So today I would like to share a simple way to "compromise" the theme in order to look dynamic on PCs and tablets (such as the iPad), without getting a mobile plug-in. 2) Activate the clone because you will be editing from this theme .. or in case you want to switch back or make a mistake. 3) Go to your constant.css file and look for the PAGE WIDTHS & BACKGROUND COLORS. Underneath this you should find about 3 lines of code that has a width of 1100px or more (topbar_width, footer_width, and content_width). Change all of these to "960px." 4) Click on the Save Changes button at the bottom of the Theme Editor. 5) Now, go to your theme.CSS file and edit the following codes to "width: 960px"
6) Now click on the Save Changes button at the bottom of the Theme Editor. Your theme layout will be slightly shorter in length, but it will look perfect on your Mac, PC, and iPad. See the image for reference or go to www.socialbrella.net to see it live. I hope this helps, and please comment, and leave a feedback if you'd like to see more. Essam Rashad Hey! When I try to do step one (backing up my theme) I can't. Basically I don't have a "theme.CSS" file. I just opened an account pardon the ignorance! Help? HIFI SE Ha! Good way to end 4/1 April fools day! Did you hack the site? Today we want to share with you one of our best little features. If you own an Apple device, this is a really nice way to make your Member's look like Apps! 3. ADD THIS CODE TO YOUR FILE - PLACE BELOW : LINE 78 after "<?php // LINK/STYLES ?>"
To make the Member's Profile to Apple App Icon. 1. Go to a member's profile page on your website with iPad, iPhone, or iPod. 3. Click Add to Home Screen. • As you start to add the title or even before, the icon should generate the user's Profile image.... Cool Huh?